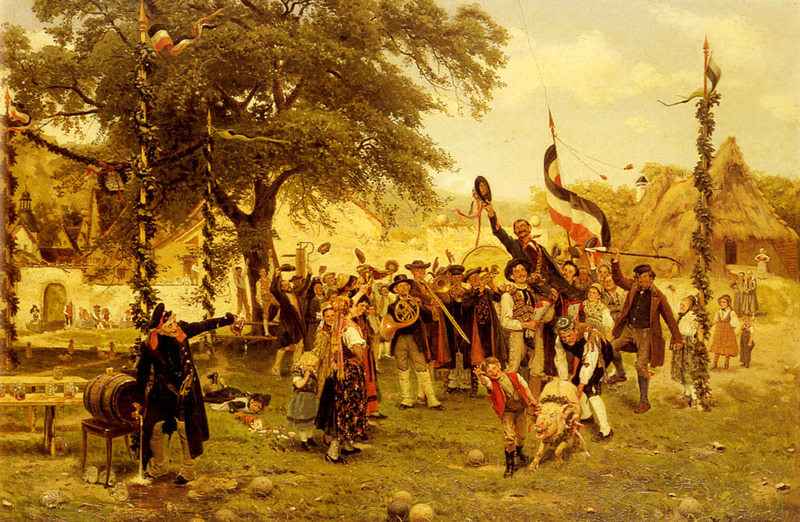 Recently added 2 paintings by German artist Wilhelm Carl August Zimmer to the 19th Century Timeline (2nd half). Dating from the end of the century, they both depict trombone performing in outdoor settings. Outdoor settings seem to become more and more common in visual depictions of trombones through the course of the century. 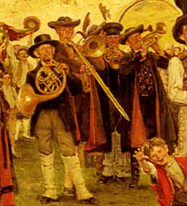 1882—Germany: Artist Wilhelm Carl August Zimmer (1853-1937) depicts a trombonist among a group of brass musicians in the painting The Bowling Champion (see facing detail and full image, below; public domain; source: wikimedia commons). 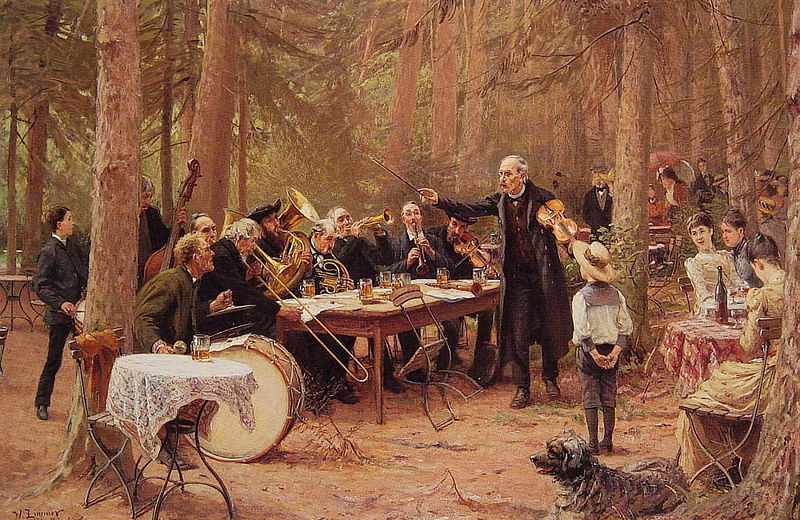 For another painting by the same artist that includes trombone in an outdoor setting, see The Orchestra, Biergarten, below (c. 1900). c. 1900—Germany: Wilhelm Carl August Zimmer depicts a German village band that includes a trombonist in The Orchestra, Biergarten (see facing image; public domain; source: wikimedia commons). ← Earliest Depiction of Black Trombonist?